Drivers generally love their Jeep, and that’s a big reason why the brand has continued to be one of the most popular car manufacturers in the country. However, many consumers consistently look for ways to take their vehicle to a new level, and one of the easiest ways to accomplish this is via modifications. 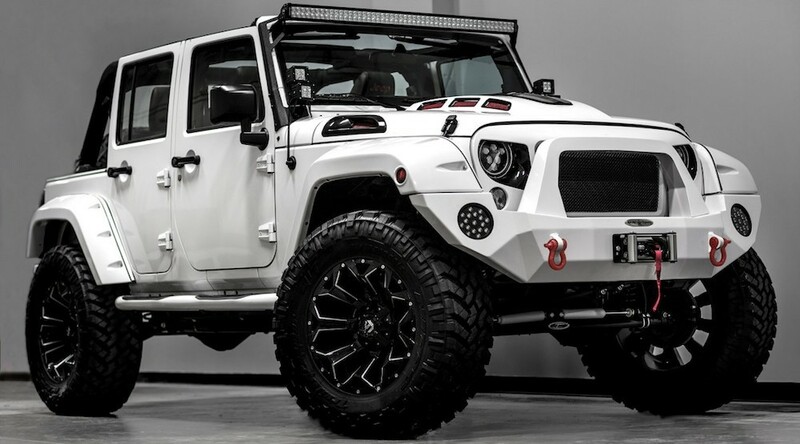 There are a number of ways that drivers can customize their new Jeep. One of the most logical ways to elevate your ride is by installing a number of parts to your interior and exterior. These inclusions won’t only boost performance, but they can also help preserve the quality of your vehicle. Most Jeeps are already equipped with impressive and dependable bumpers. However, that doesn’t mean that customers don’t have an opportunity to upgrade the unit. The standard bumpers will protect the rest of your vehicle, especially when you’re traveling off road. However, you’ll quickly learn that these inclusions will compromise relatively quickly. By installing a new bumper, you can be assured that the feature will save your Jeep for a longer amount of time. There are several additional amenities that owners can add to the Jeep if they’re looking for additional protection during a random excursion. Entry guards are a perfect way to preserve the area around your doors, as the feature will prevent any scrapes or dents. This will also add some reinforcement to the side of your vehicle, which is especially useful when you’re traveling off the beaten path. There’s a good chance that your Jeep’s interior will quickly get messy, especially if you’re traveling off road. While several of the brand’s vehicles so provide a drainage plug (thus allowing you to take a hose to the interior before draining it), owners will still find that dirt and grime will get caked on the floor. This doesn’t only reduce the opulence of your Jeep, but it also negatively impacts the future value. If you want to preserve the like-new quality of your Jeep, then it’s worthwhile to pursue rubber mats for your cabin. These durable inclusions will protect the floor of your vehicle from this dirt, and it can also tolerate an excessive amount of water or mud. If you want to maintain the quality of your Jeep, then this offering is absolutely essential. We’re obviously giant Jeep fans, but even we’re not big enough homers to not acknowledge that the brand’s vehicles tend to have their fair share of predicaments. Notably, the hood of the vehicles rarely stay put, and drivers quickly get annoyed as the metal consistently bangs against the body. While it’s rare that the hood is going to suddenly fall off, there’s no denying that this minor issue will certainly cause some drivers to pause, especially if they’re considering traveling off road. A latch will assure that the hood is actually secured to the body, thus preventing any uneasiness a driver might have when traveling off the beaten path. Furthermore, if you’ve included any mechanical amenities to your Jeep, this latch will keep them locked up and out of the hands of thieves. Jeeps are already equipped with a solid lighting system, which provides excellent visibility. However, if you’re truly looking to optimize your driving ability off road or at night, then adding a set of LED lights is the perfect choice. These bright bulbs will provide an unmatched vantage point of the road or path, allowing you to better anticipate any animals or obstacles. Furthermore, the brighter lights will also alert your fellow drivers of your status, so they’ll never be alarmed when you roll by in the dark. There are a number of reasons why a Jeep owner may want to lift their current vehicle. Perhaps they prefer a higher vantage point of the road, or maybe they want their ride to be better able to overcome any off-roading obstacles like logs or giant rocks. A lift kit will certainly improve your Jeep’s versatility, as you’ll find that your vehicle can now be relied on in any terrain. Of course, it’s important to remember that a lift kit will drastically impact other areas of your vehicle. You might find that performance is slightly reduced, so maybe the vehicle isn’t as aerodynamic as it previously was. Most notably, drivers will find that a lifted Jeep is considerably harder to control since the vehicle was designed for optimal operation at its standard height. However, assuming you’re not drastically altering the height of your Jeep, you shouldn’t be overly worried about this potential predicament. A new set of tires can be a logical choice for any type of Jeep driver, even if the individual isn’t too fond of off-roading. After all, better tires or larger wheels can improve performance, handling, and safety. This is especially evident when it comes to the tires, as higher-quality rubber will predictably lead to improved traction. If you find yourself often traveling through inclement weather, a new set of tires could be an especially clever inclusion. Forget hard tops. Sure, they might be logical in regards to performance and safety. However, Jeeps are known for their open design, and there’s no denying that a hard top compromises this persona. However, by pursuing a soft top, owners will truly get to appreciate all of their ride’s advantages. The unit can easily be removed when you want the fresh air to flood into your interior, which might be especially appreciated when you go on an off-roading adventure. Meanwhile, if it’s raining or cold, you can install the soft cover to keep you away from the elements. While a hard top limits your option, a soft top provides maximum versatility.